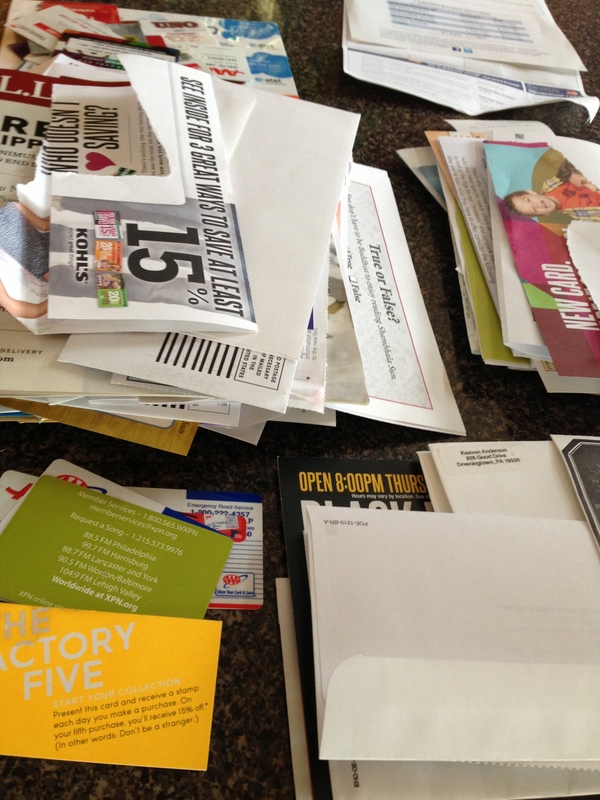 Clump #140: Eliminate old mail in basket. Sorry, back on track. Before the big holiday clean-up, said basket got jumbled together with all the other paper clutter and fell into the dark void of our closet. Ha! I just read that over, and notice how, with the passive voice, I removed myself from the equation as though that darned basket had just gone rogue! 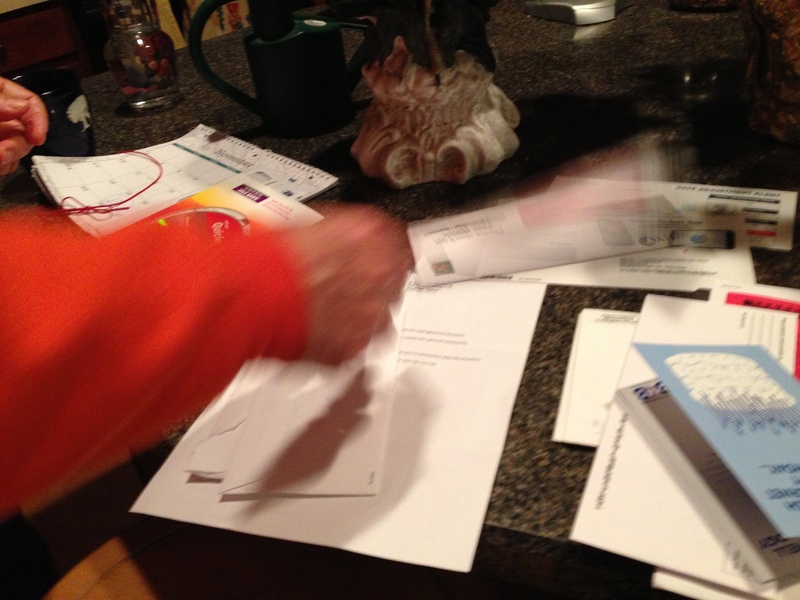 So this is mail focus, take two … nipping it in the bud before it turns into a clump. So much plastic … ugh. After shredding the protect-our-identity paper, these were next. 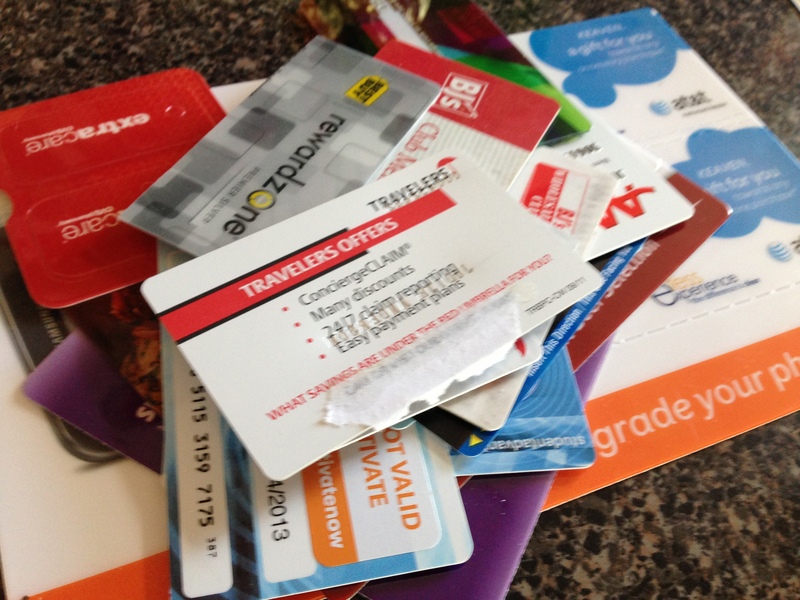 Coupons, cards … be gone! Out of all that, just two pieces of paper were deemed worthy of filing. 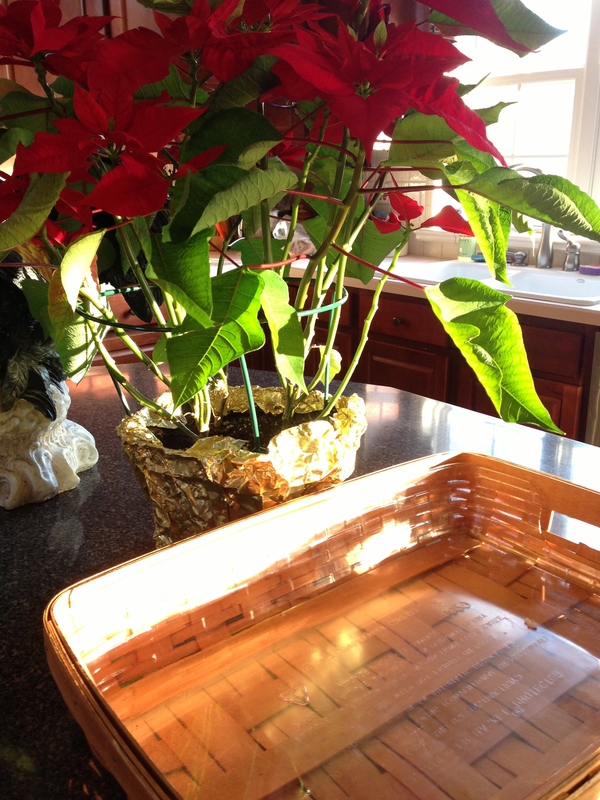 Now the basket is ready for the next mail drop, as inevitable as the next poinsettia leaf drop. I think I do hear the birds singing now!